Howdy Friends!! 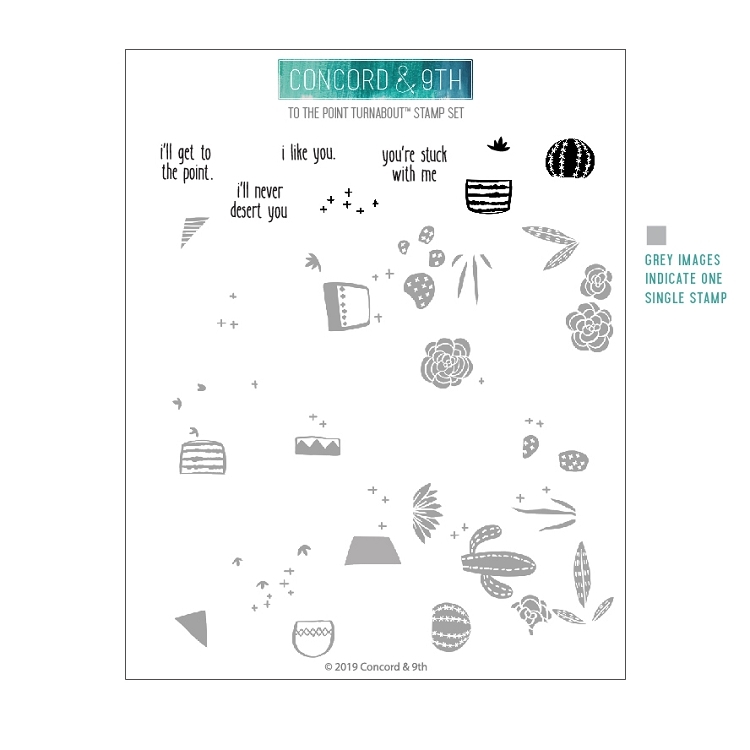 It is Dana here today with a fun set of cards using the Concord & 9th To The Point Turnabout Stamp Set. I started my first card by using the To The Point Stamp Set. This turnabout stamp is a little different than other turnabouts. It's a split turnabout with succulents/cactus on one half and pots on the other side. So you use two colors each time you turn (up to 8 colors) to create your pots and cactus. This allows you to keep your cactus green but add color to your pots. I only used four color...so I repeated my greens twice and my pot colors twice. I took a picture of each step to show you how it comes together...I am sorry about the shadows on my pictures, but I was stamping at night. You will notice that there is an empty spot in the center of the design. 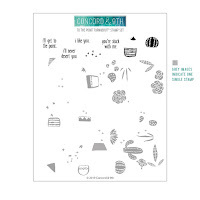 You can add an included sentiment there, or fill it in with the individual images in the stamp set (that is what I did). Next, I cut down my card panel and added a Vellum rectangle to the center of my panel. 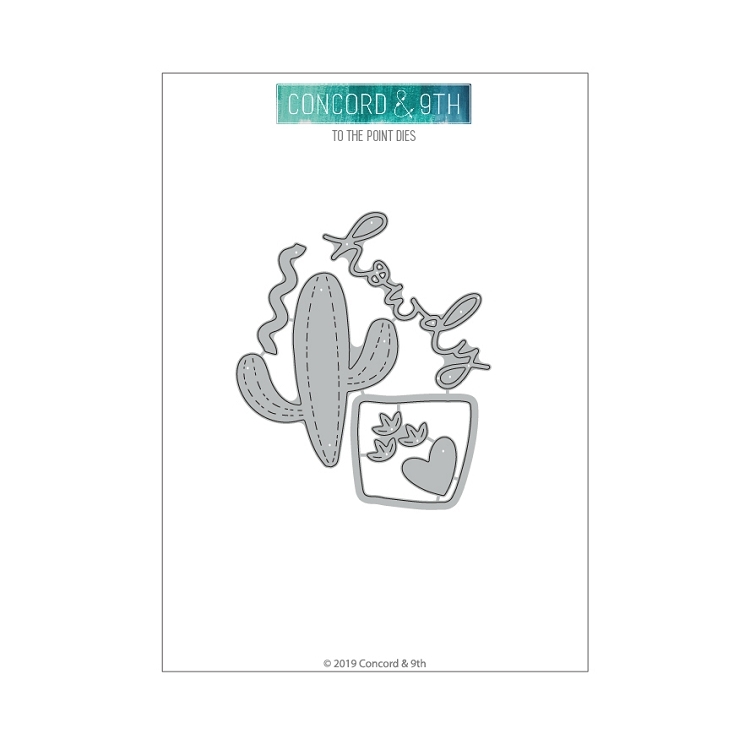 I then used the Concord & 9th To The Point Dies to die cut my cactus image and "Howdy" sentiment for my card front. I attached my card panel to an aqua cardstock mat before attaching it to my A2 card base. For my second card, I only used the To The Point Dies. 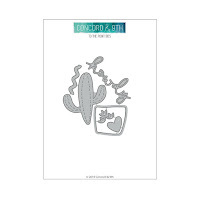 I once again die cut my cactus and "Howdy" sentiment and attached it to my card front with Foam Adhesive. I layered my card panel onto my cardstock mats and attached it to an A2 card base. I love these dies...they make a quick card- but it is so cute and trendy!! Make sure and stop by the Butterfly Reflections, Ink store and check out the selection of Concord & 9th Products.